This is the thirtieth weekly round-up of “blasphemy” news and views from the End Blasphemy Laws campaign. It’s a round number, number 30, the big three zero. That makes it special, if you’re into that sort of thing. During December 2013, a young Mauritanian blogger called Mohamed Cheikh Ould Mkhaitir wrote a blog where he defended the rights of his people in Mauritania, who are used and exploited based on their history when they were slaves. In the article he referred to the double standards used by the prophet Muhammad himself when he dealt with the Jews and the Arabs. He said that the prophet killed the Jews but forgave the Arabs because they are his blood. In his blog, he tried to show how religion plays a role in the social hierarchy and discrimination between social classes. Some people in Mauritania took to the streets demonstrating against the article, shouting “death to the blogger”. It was considered a blasphemy towards the prophet, because it showed the prophet as an unjust person who preferred his tribe over others. 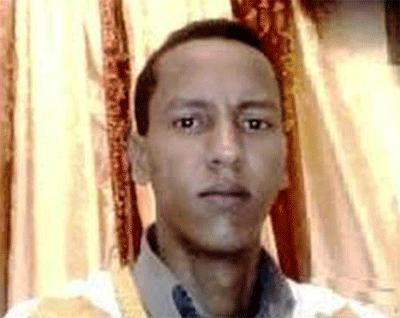 The authorities arrested Mohamed Cheikh on 2 January 2014 and he appeared in court in December, which sentenced him to death on the same day. Justice Minister Own Bonnici should go ahead and ditch the Catholic self-styled and self-serving ‘vilification’ law harking back to the Inquisition. … Man-made ‘blasphemy’ laws are enacted to defend the subjective beliefs and the particular interests of those who make them rather than in defence of the honour of God himself, who is far removed from such petty human concerns. Just like faith itself, blasphemy is relative. What is blasphemous to Catholics is not blasphemous to others. Throughout the centuries, Christians vilified the Jews and insulted the prophet Muhammad. They never considered their insults to be blasphemous. It’s absurd to think that God would be offended by the puny ‘blasphemies’ hurled at Him by insignificant men living on a small planet in a universe containing billions of stars and galaxies. The Archbishop was reacting to a proposal which would (among other things) amend Article 163 of the Criminal Code to remove a possible six-month prison term for anyone who ‘vilifies the Roman Catholic and Apostolic Religion’. At every point, he seems to be implying that some form of collective ‘action’ will be taken by Christians (a rather large denomination in Malta, by the way) if his warnings are not heeded. But he never specifies exactly what form this ‘action’ might take. How does he propose to ‘protect’ the Blessed Virgin from blasphemy, once this is no longer a punishable offence? And how are we to expect Christians to ‘react’ to such insults (apart from what I would have thought the most obvious reaction: i.e., by ‘turning the other cheek’)? Sorry to be insistent, but in a world currently threatened at all angles by violent religious extremism, I think the questions deserve an answer. David Rand…from Atheist Freethinkers was one of the participants in the Panel of Blasphemy at the Non-Conference in Kitchener on August 22. He was joined by Doug Thomas from Secular Connexion Séculaire, Eric Thomas from Humanist Canada and Christine Shellska from Atheist Alliance International. And there’s the full text of Rand’s contribution at the link. 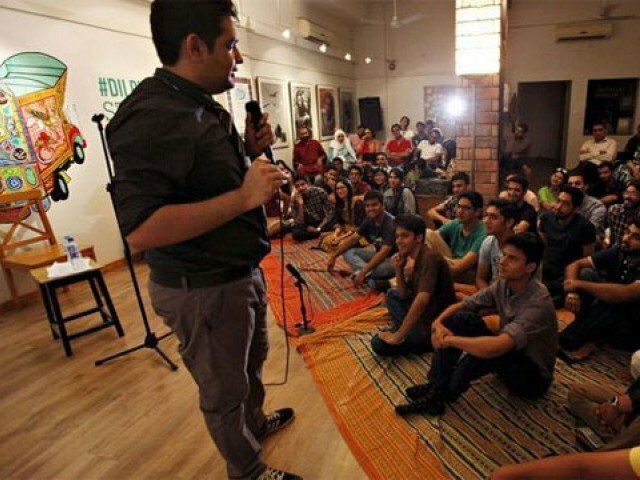 Shaikh, 26, has just returned from New York and is trying to reinvigorate live comedy in Pakistan. It’s a difficult, sometimes dangerous quest. Aside from the usual financial struggles and small audiences, Pakistani comedians face harsh blasphemy laws and a barrage of death threats if their jokes offend the wrong person. One of Shaikh’s close friends, Sabeen Mahmud, a rights activist and the founder of The Second Floor venue he played this week, was gunned down in April. A man arrested for her murder has said she was targeted for championing liberal, secular values. 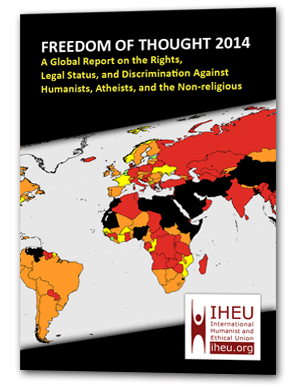 … Pakistani law stipulates blasphemers be put to death. No one’s been executed so far, but those accused are often lynched or imprisoned on flimsy evidence.